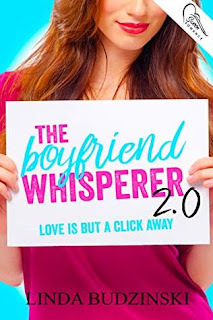 Alicea Springer was Boyfriend Whisperer Enterprises’ top success story. That is, until her dream date, Ty Walker, dumped her a week before prom. Now it’s senior year, and Alicea has taken over the business and given it an upgrade using an automated matchmaking program designed to help her classmates find their perfect match. Alicea has no interest in using the program herself. She already knows who her perfect match is … Ty. She doesn’t need an app to tell her that (or worse, match her up with someone else). In a moment of weakness, Alicea allows her friends to convince her to give the program a try. To her horror, it matches her with the last boy on earth she'd ever want to date — Darius Groves, the class deadbeat. When she and Darius are paired up for a class project, Alicea learns there's more to him than his bad reputation. But the more she spends time with Darius, the more she questions their match. They have so little in common. Why did her program match them? Can Alicea defy the odds and make a match of her own heart’s desire? Or will the matchmaker remained unmatched? Excellent review and spot on from my experience with this book. Darius is my new book boyfriend. I also want to read the first book in the series. I did fall in love with Darius a bit myself! Thanks for stopping by! I haven't read this book but it sounds cute! If you like YA contemporary romance, this is a good one to pick up! Thanks for visiting! Sounds like a very interesting book involving matchmaking skills. Thanks! Glad you could stop by! This looks awesome, I'll have to check out the first one. I need to do that as well. Thanks for visiting! Sounds like this was a pretty good read for you, despite some of the complaints. I'm glad it had a nice happily ever after. It wasn't too bad. Thanks for visiting! It sounds like this one is quite a predictable story, but predictable doesn't always mean that it is going to be bad! It sounds like you really enjoyed the character development and her steady realisations of what is and isn't good for her. Predictable is okay sometimes. You know you can just relax and enjoy the characters. Thanks for stopping by!